The IFA 2015 event witnessed quite a good number of smartphone and gadget unveilings. After a long wait and leaks, rumors and mockups scattered throughout the web, we finally have the clear view of Sony’s latest iteration of it flagship line, the Xperia Z5. Considering the rumor that Sony was planning to shut down its mobile unit a few months ago, the release of the Z5 has made it evident that Xperia devices would not go extinct any time soon. Sony has released 3 variants of the Z5 that include the Xperia Z5, Xperia Z5 Compact and Xperia Z5 Premium (with 4K display). The manufacturer has completely revamped the Xperia UI to make it perform smoother. The Xperia Z5 features a 5.2 inches Triluminos display with X-Reality Engine, Snapdragon 810 processor, Adreno 430 GPU, 3GB RAM, 2900 mAh battery and runs on Android 5.1.1 Lollipop. As it usually happens, we all start looking for the new stock wallpapers and ringtones from newly launched devices. If you love customizing your phone’s home and lockscreen using beautiful backgrounds, we got a whole bunch of 19 wallpapers from the all new Sony Xperia Z5. As you can see in the preview image below, the Xperia Z5 comes with nineteen colorful wallpapers that reflect the new material design language. 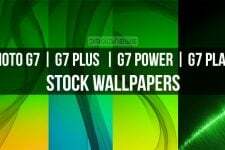 The wallpapers provided below are in full HD quality with a common resolution of 2160 x 1920 px. 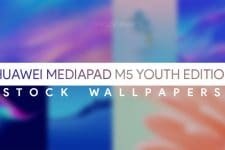 To download the Z5 stock wallpapers, just click our download link below, extract the zip file, transfer the wallpapers to your device and start enjoying the colorful experience. 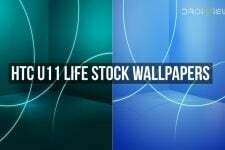 Want more wallpapers to pimp your Android phone and tablet, do not forget to take a tour of our Wallpaper section by clicking here. Also hope to see more uploads of stock ringtones even for the more obscure brands e.g. Xiaomi, Lenovo and Micromax. We would continue sharing more in future too.